Home » Integrated Urban Development » Every single house is interesting! There is a little square two-minutes from your flat. You have seen it many times on your daily route. You perhaps even recognised that it is somehow unique. Nothing special, no outstanding architectural value, but lovely and always full of life. And would be great to explore once. All of us are surrounded by places and buildings like this. All of us are excited what and who is there behind the doors. Who lives there now and who has lived there before and what stories they could tell. The ‘Come in! 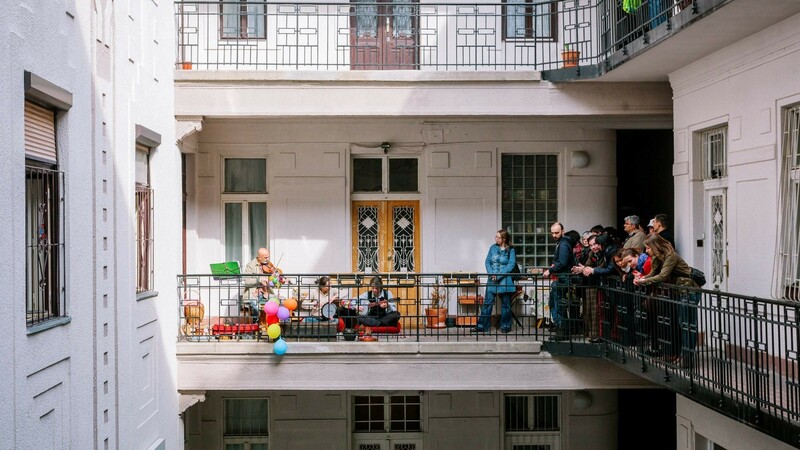 – talking houses shared stories’ URBACT Transfer Network is centred on the good practice entitled Weekend of Open Houses. It is an easily adaptable community festival in Budapest called Budapest100 celebrating the city’s built heritage and common values. This good practice might help the inhabitants of eight European cities to explore their own built heritage, those little squares only two-minutes from their homes and get local communities closer to each other along this journey. 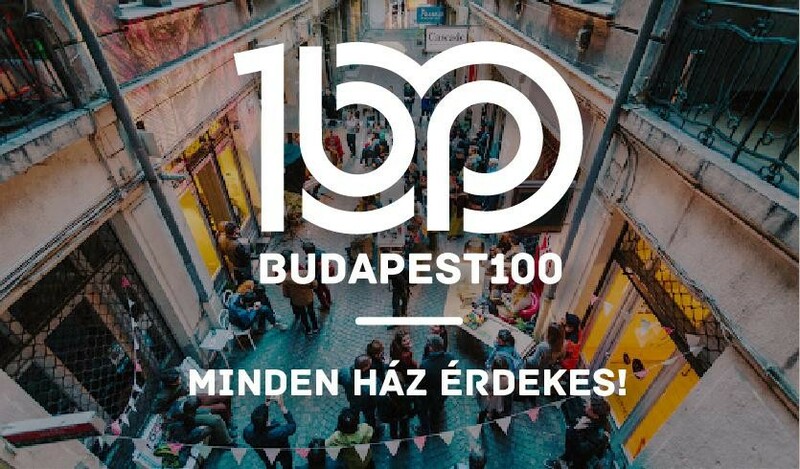 The Budapest100 community festival was started in 2011 by the Open Society Archives and the Contemporary Architecture Centre in Budapest, celebrating houses turning 100-years old that year during a thematic weekend. 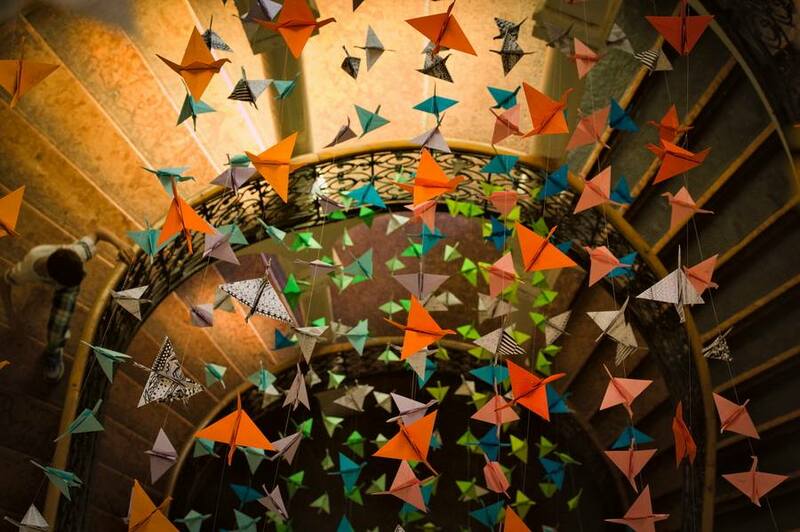 The event became a yearly festival, always celebrating buildings that were 100 years old in the given year. Since 2015 the celebration of 100-year-old buildings is not possible anymore due to WWI, so each year the focus is on different themes (2017: buildings along the Danube, 2018: buildings around squares). Nevertheless, the main method is the same, expressed well by the festival’s motto: every single building is interesting and important. This is a two-day long festival co-organised by local residents and a massive group of volunteers to highlight values of the built environment as well as common values to decrease urban isolation. The main aim of the good practice is primarily not to protect buildings, but to encourage civilian power alongside the built environment as a catalyst. Its broad mission is to initiate a common discussion about urban revival and to inspire the establishment and strengthening of residential communities and to take action against urban social isolation by using cultural heritage and built environment as a tool. 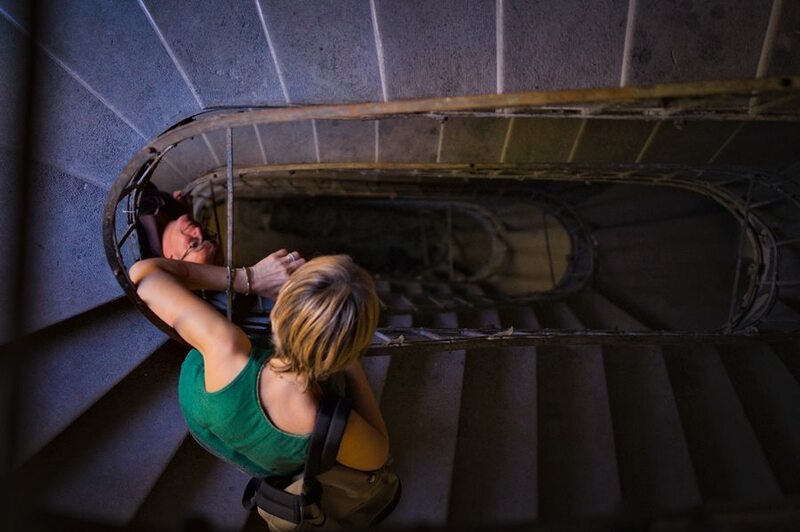 Each year approximately 20 000 visitors come to look behind the doors of 50-60 open houses of downtown Budapest, explore hidden treasures and listen to urban stories told and shared by local residents and volunteers. This rather attractive urban initiative is definitely not about money: the whole programme costs about 20 000€ each year including the development of a website and the salary of a part time employee. The Come in! URBACT network is led by Municipality of Újbuda, the multifaceted 11th district of Budapest, a district whose downtown area is usually very active in Budapest100. The municipality also has a strategic relationship with the Contemporary Architecture Centre to boost local dynamics of the creative sector. Using the Budapest100 good practice as a method, Come in! 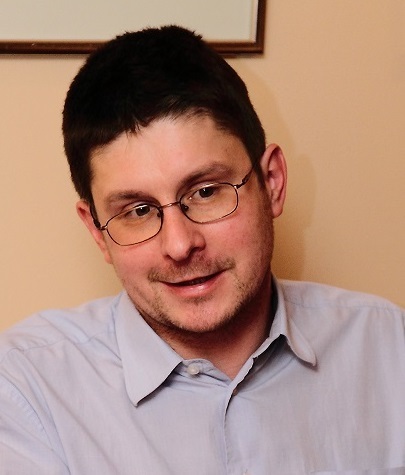 focuses on mobilising residents and raising their awareness towards the values of their built, mainly residential environment, which is not necessarily protected by law, and not necessary old, but where there is an intangible identity, spirit or story behind, on which a community building process can be strongly built. This is to be done by involving volunteers to make research on houses to be involved (collecting facts, stories and histories about houses and their residents), as well as residents putting together the programme (organising for example walks or programs with residents of the houses). The Weekend of Open Houses is about creating an opportunity for citizens to uphold cultural values and traditions and to promote positive societal change. The aim is to “allow and encourage individuals to become more active in every aspect of cultural heritage. A thorough understanding of local culture and environmental issues will render any participation more effective.” says the Turku Manifesto 2017 (Taking part in cultural heritage matters, European Heritage Congress, 2017 Turku), which is also the main philosophy of the good practice and of the Come in! 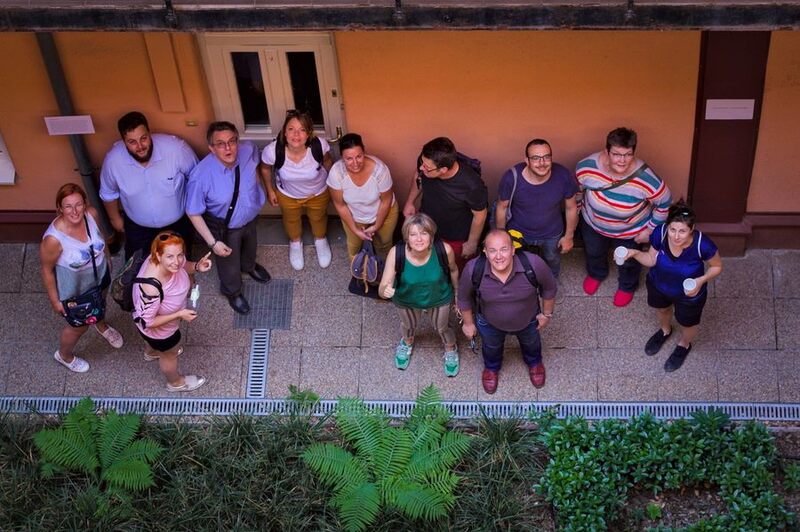 URBACT network. This highlights the fact that it is really in line with contemporary trends of cultural heritage management and integrated urban development in the EU. Europe is celebrating its diverse cultural heritage at all levels in 2018 through the European Year of Cultural Heritage, the aim of which is to “encourage more people to discover and engage with Europe's cultural heritage, and to reinforce a sense of belonging to a common European space”. The slogan for the year is: Our heritage: where the past meets the future. Come in! is taps on an important thematic field: perceptions of cultural heritage in Europe – which is extremely rich in cultural values - is changing. It is not anymore seen as a financial burden, but increasingly recognised as an asset, which can provide a catalyst for enhanced growth and wellbeing. Since the adoption of the Historic Urban Landscape (HUL) approach by the UNESCO’s General Conference in 2011, cultural heritage is a very important reference point and crosscutting field in urban policies both on global and European level. The UNESCO’s HUL Recommendation seems to be the alpha and omega regarding cultural heritage, and indeed most urban policies are rooted in that framework which stresses the importance and urgency of involving communities in the valorisation and conservation of the built environment. The widest possible participation and interaction with residents and communities is a priority both for cultural heritage agendas and social innovation policies. A community festival celebrating a given city's built heritage and common values clearly contributes to relevant EU priorities and is in line with the Historic Urban Landscape approach as well. The good practice provides a rather simple model to mobilise residents as well as volunteers to engage with their own cultural heritage and communities while also helps to decrease social isolation. Of course Budapest100 does not stand alone, there are many similar concepts in Europe and worldwide. The most well-known initiatives are perhaps Open House and the European Heritage Days. 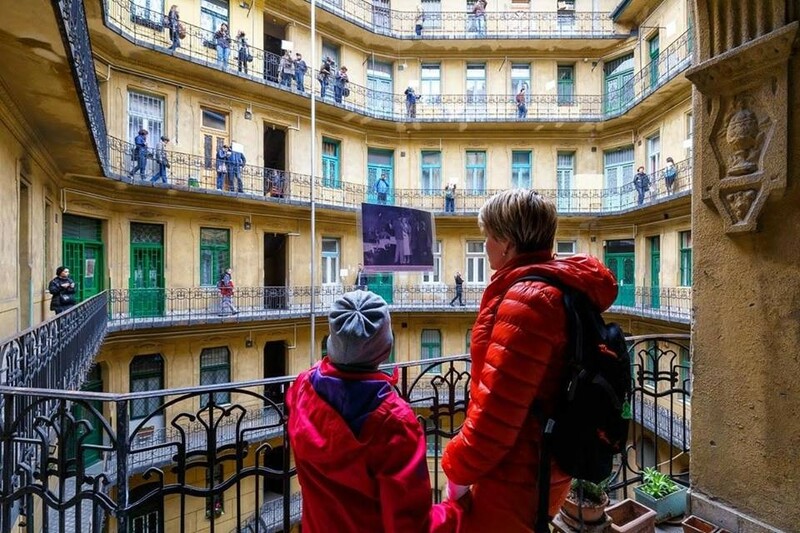 But there are two crucial differences between Budapest100 and other similar initiatives: the involvement of residents and initiators of activities supported by volunteers and having a strong social focus besides the architectural one. For Budapest100 every house is interesting, not only those with outstanding architectural value or the ones protected by law. The combination of the three pillars (built environment, but not only outstanding values, strong involvement of communities supported by involvement of volunteers) makes Budapest100 unique in the EU context. The ‘Come in! – talking houses shared stories’ network provides exchange and learning activities for a number of cities and their stakeholders coming from different corners of Europe and having a residential area with strong spirit, to understand the good practice, prepare local plans for its adaptation and test its reuse on small-scale. On the one hand, as the good practice is really not complex (it is “just” a two-day event) it could be easily replicated in almost every residential environment of any European city having a strong local ‘identity’ the community festival can be built on. Searching and analysing these identities behind residential areas of candidate cities was the most important factor while building up the partnership. The good practice will be adapted in various built environments, e.g. in the historical centre in Gheorgheni (RO) with its unique and mostly unexploited Armenian heritage; in Forlì (I) focusing on its sensitive rationalist heritage or in Varaždin’s looking at its (HR) untapped modern buildings just next to the beautiful Baroque city centre, and will be even tested in newly built environments as well (e.g. in modern housing estates in Újbuda (H) or Pori (SF)). On the other hand, the other two pillars (community engagement and volunteering) of the good practice highlight serious challenges related to the overall transfer potential of the good practice, simply because it can be difficult to boost these factors as they are deeply rooted in the socio-economic environment and cultural attitudes of the given country. Tackling a strong local spirit (‘our heritage’) linked to a partly unexploited heritage, positioning and marketing the theme in a contemporary way fitting urban trends, incentivising volunteers and residents, especially young ones and putting the theme into a broader context seem essential in the transfer process to overcome those challenges around community engagement and volunteering. Last, but not least, for adapting this community-led initiative we need municipalities that are able to facilitate bottom-up developments without controlling what is uncontrollable, act as matchmakers, and harvest and accelerate the results of such a community festival by crossing silos (the cultural department is most likely the one responsible for the festival, but its potential spill-overs refer to social and other departments too). Proper motivation tools, team and capacity building for URBACT Local Group members to overcome resistance and create quick wins is also essential for Come in! partner cities. Visit the network's page: Come in!